The official antivaccination cult’s take on the Italian court decision. Let’s have fun debunking this! The ridiculousness of the Italian court decision. Let’s start with the ruling from a provincial court in the middle of Italy that disregarded all other science. Mr. Andy Wakefield‘s paper alleging a connection between MMR and autism has been retracted by the Lancet. The Italian court pretended that real science did not retract the article and, instead, used the retracted article as a basis of their ruling. Mr. Wakefield perpetrated a fraud, described in detail in a series of articles in the British Medical Journal, here, here, and here. The investigations revealed that Wakefield committed fraud in an attempt to make money from trial lawyers who were seeking to sue MMR vaccine manufactures. That’s bad enough, but it was also discovered that Wakefield owned rights to another measles vaccine, and by destroying the credibility of the MMR version, he had planned to make significant amounts of money in marketing his own. All of these intents to commit fraud, along with the actual commission of fraud, lead to Wakefield being stricken from the rolls of physicians and surgeons in the UK. Of course, none of these points mattered to the Italian Court. Of course, those Italian courts decided that geologists who were not able to predict an earthquake (nearly impossible to do, scientifically) were guilty of manslaughter and sentenced to six years in jail. The Italian courts obviously are clueless about science, but they have a long tradition of suppressing science. But let’s be clear. Legal systems are not built on the scientific method. They are incapable of deciding which evidence is scientifically sound and which is not. Courts decide on the law, they are mostly incompetent on deciding on the value (or non value) of scientific evidence, that’s not how they’re constructed. In fact, most court’s foundations are based on what science calls “false equivalency,” because it gives each side the right to make its own claims irrespective of the quality of evidence, and a panel of non-experts (a jury) is supposed to determine which side’s evidence is better. That doesn’t work in real science. Despite a very large list of peer-reviewed scientific studies (listed below) that completely debunks any link between MMR vaccines and autism, why on earth would the Italian court decide the exact opposite? Well, courts are not infallible, so they occasionally make errors. The ruling of the provincial Italian court of jurisdiction, approximately at the level of a US state district court, can be appealed, which is ongoing. Apparently, the Italian Health Ministry also didn’t present the list of information to that court that I just did above–from comments made in Italian language skeptics blogs, it appears that the Health Ministry laughed off this court case, because it appeared to be a nonsense claim. But one more thing. The Italian Appeals court thought it was bogus too. So, I guess if the antivaccine cult wants to believe that courts decide science, oh well, you lose. The court was set up as a method to quickly review claims against vaccine manufacturers for injuries from vaccines, and quickly weed out claims that are not obviously related to vaccines. The reason this court was established to shield manufacturers from the excessive litigious nature of Americans (to both make money and to blame anyone but themselves). It was becoming apparent that the cost of this litigation for manufacturers, usually made by attorneys trolling for business, was going to drive away vaccines from the US market. It wasn’t a threat by pharmaceutical companies, it was reality. So rational people stepped in to create a system that would be fair to everyone. Let’s be clear. All medical procedures have a risk. Taking acetaminophen has a risk. Having surgery has a risk. And getting a vaccine has some risk, no one says that vaccines are perfectly safe. Since the “Vaccine Court” was established, over 1.8 billion (billion!) doses of vaccines have been given to children in the United States. As of December 2011, the program, since being established in 1988, has paid out $2,213,229,050.37 to 2,810 people, an average of around $760,000 per claim settled. This means that the courts are paying around $0.99 per every dose of vaccine delivered. And the number of claims is around 1.8 per 1,000,000 doses of vaccines administered. And this ignores the fact that courts aren’t deciding on science. Many of the claims are made despite the lack of causal evidence, but more on a Post hoc ergo propter hoc correlation. In fact, the Autism Omnibus trials, which was specifically set up to adjudicate claims that vaccines cause autism, has rejected all three test cases that claimed that vaccines caused autism, and subsequent appeals of that decision have failed. But the real news is that there is no news. Because the anti-vaccination lunacy lacks any substantial support for their various tropes about vaccines causing any number of things, including autism, they need to rely on hero worshipping of one of the great scientific frauds of all time, Andy Wakefield, or on a minor Italian provincial court, or on exaggerating claims from the NVICP. MMR vaccine is unrelated to autism. Period. Let’s review. The Italian Courts made a bogus decision based on a fraudulent paper from no-longer-a-doctor Wakefield that was withdrawn by the publisher. 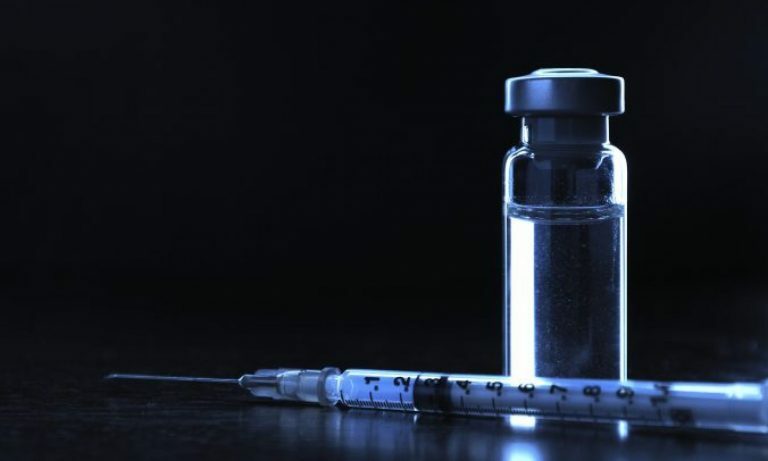 After billions of doses of vaccines given, a tiny number of people have made claims that vaccines have caused injury, adding up to about $1.00 per vaccine dose. Again given that all medical procedures have some risk, the fact that vaccines saves thousands, if not millions, of lives in the USA, the tiny risk is overwhelmed by the huge, scientifically supported benefit. And we’re not even sure if there’s a real causality between the vaccines and those injury claims from a scientific point of view. Finally, peer reviewed articles in high impact journals establish that there is no link between the MMR vaccine (and in some cases, any vaccine) and autism. MMR vaccines (or any vaccine) do not cause autism. Wishing it so, or claiming it’s so, doesn’t make it so.